Around 5.6 lakh housing units worth Rs 4.5 trillion in seven major cities are running behind the delivery timelines mainly due to demand slowdown and fund diversion by developers, according to property consultant Anarock. These 5.6 lakh flats were launched before 2013 in these seven cities -- National Capital Region (NCR), Mumbai Metropolitan Region (MMR), Chennai, Kolkata, Bengaluru, Hyderabad and Pune. 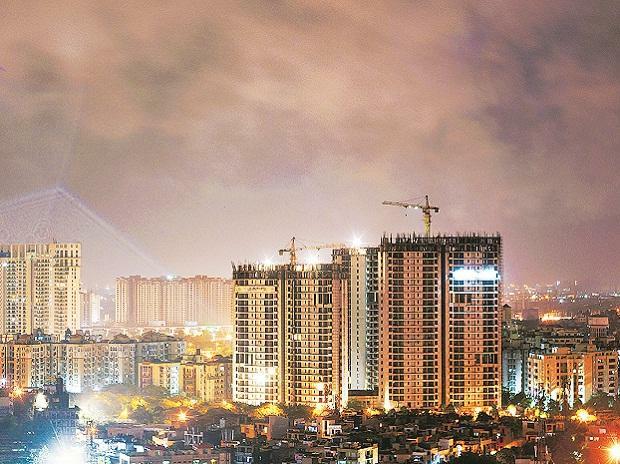 "The top 7 cities currently have a total stock of 5.6 lakh delayed housing units worth a whopping Rs 4,51,750 crore," Anarock founder and chairman Anuj Puri said. "Lakhs of buyers across top cities particularly MMR and NCR - have been left in limbo, leading to inconceivable mental stress and financial pain," he added. As per the Anarock data, the NCR and MMR account for 72 per cent of the total stuck housing units. In MMR, as many as 1,92,100 apartments worth Rs 2,17,550 crore are delayed, while the NCR has 2,10,200 units worth Rs 1,31,460 crore running behind the schedule. The main southern cities of Bengaluru, Chennai and Hyderabad together account for a mere 10 per cent of the overall stuck housing units of a total worth of Rs 41,770 crore. The Southern cities have predominantly been driven by service-class end-users, leaving limited scope for developers to be unprofessional. "It has become a 'chicken and egg' situation - buyers have understandably stopped releasing funds to builders, and builders claim they have no funds to complete construction," he added. Every delayed project results in cost overruns which compound the funding crunch even further. Anarock chairman said the lack of project clearances for whatever reason also contributes to the piling up of housing stock. In the pre-RERA era, many builders launched greenfield projects without the requisite approvals in place, resulting in their projects getting stuck. The consultant said that by amending the Insolvency and Bankruptcy Code and treating buyers at par with banks and other creditors, the government has safeguarded the interests of affected buyers. "Whichever government is in power after the upcoming general elections, it has a mammoth task to complete. Delayed projects have severely weakened faith in under-construction properties and reviving buyers' trust is a herculean task," Puri said. If buyers stop purchasing under-construction properties, builders would have a far more challenging time to get funds from external sources for project construction, he added.